Here’s what’s happening in the world of television for Tuesday, November 7. All times are Eastern. 30 For 30 (ESPN, 10 p.m.): In this corner: Weighing in at more than 150 installments spread across eight years and multiple subseries, the winner of Best Documentary Feature at the 89th Academy Awards (even though O.J. : Made In America was a TV miniseries, not a movie), 30 For 30! 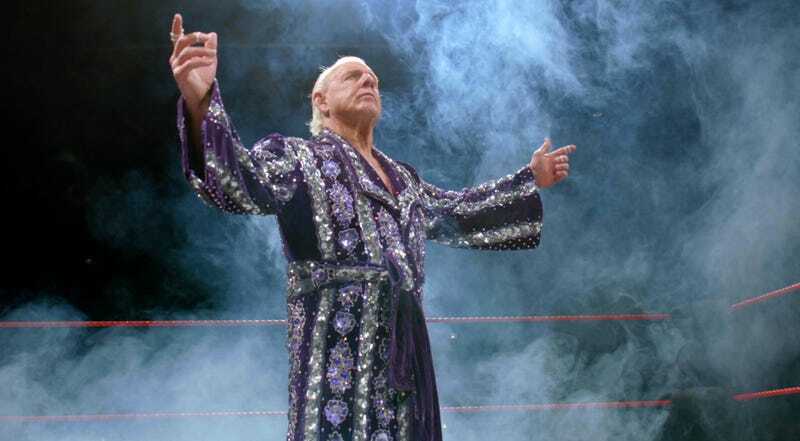 And, in the opposite corner, in the bleach-blonde mullet and the $600 lizard shoes, the 16-time world champion carrying baggage that only a man of his wealth, power, and stature could bear, “Nature Boy” Ric Flair! Refereeing this bout is Noel Murray, who expects a good, clean fight, and insights into one of the most colorful and beloved personalities in sports entertainment history. Woo! Damnation (USA, 10 p.m.): Author and former hand on the Longmire ranch Tony Tost brings us this period piece about a preacher with a mysterious past, a strikebreaker with a murderous reputation, and the muddy, dusty, bloody American plains each hopes to claim on behalf of his own cause.